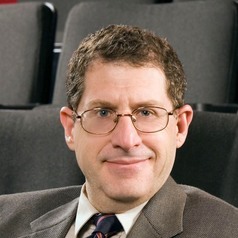 As a lecturer and adjunct faculty member, Thomas Delapa has developed and taught undergraduate film studies courses at such large universities and colleges as the University of Colorado at Boulder, the University of Denver, Regis University (Denver), Nevada State College, and Chapman University (Denver). He is currently on faculty at the University of Michigan-Ann Arbor and the College for Creative Studies (Detroit), teaching both film studies and visual culture courses. From 1998 to 2008, he was Film Curator at the Denver Art Museum, programming, managing, and hosting a popular series of classic and contemporary films. From 2011-2014 he was acting film curator at Denver’s Historic Elitch Gardens Theatre, the oldest “summer stock” theater in the U.S., where he programmed and co-hosted a summer series of classic Hollywood films. He has also regularly written on film, drama, and TV for such U.S. print and Web publications as the Chicago Tribune, Alternet.org, Boulder Weekly (CO), Pulitzer/Lerner newspapers (Chicago). In 2006, as Boulder Weekly film critic and associate editor, he received both the first- and second-place awards from the Colorado chapter of the Society of Professional Journalists for Arts and Entertainment Criticism. In 2005 he received a third-place award for Best Headline Writing from Denver Press Club, and in 1998 he won an Excellence in Journalism Award from the Colorado chapter of the Society of Professional Journalists. His film reviews have been quoted in numerous publications and websites, including Rotten Tomatoes, AltWeeklies.com, the New York Public Library, the Daily Beast, Turner Classic Movies, Hong Kong Daily, Flixster.com, Wikipedia, Vulture.com, Film.com, as well as in the Journal of Film and Video and Named and Shamed: The World's Wittiest Movie Reviews. He also has been film critic for such National Public Radio affiliates as WBEZ-FM in Chicago and KUVO-FM in Denver.